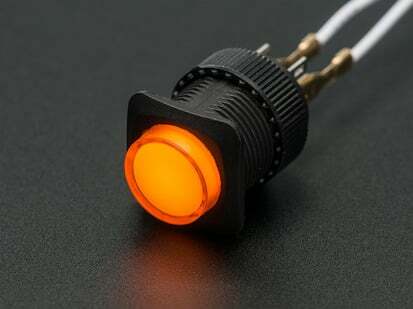 A switch is a switch, and an LED is an LED, but this LED illuminated button is a lovely combination of both! 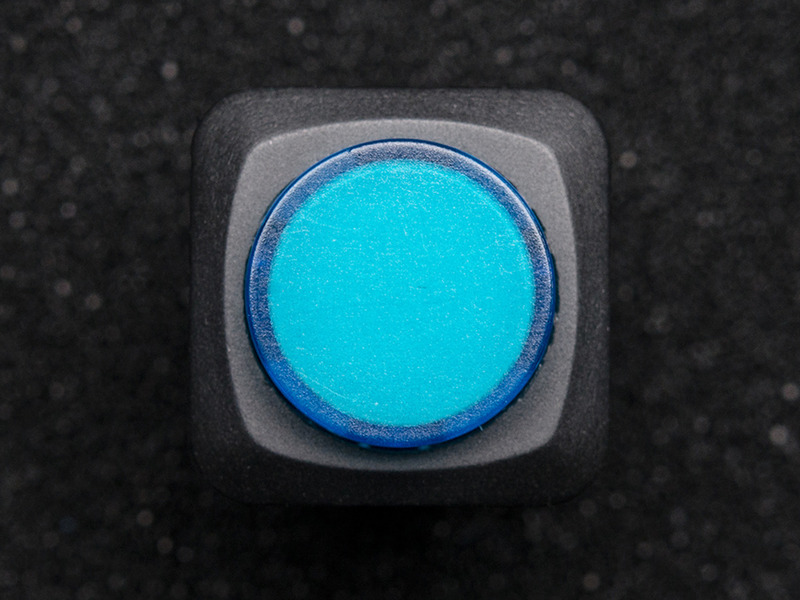 It's a medium sized button, large enough to press easily but not too big that it gets in the way of your project panel. 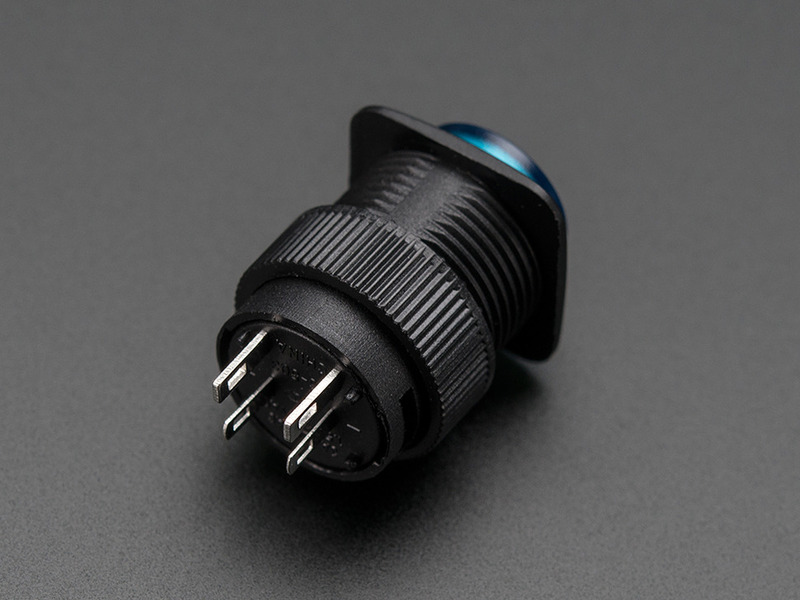 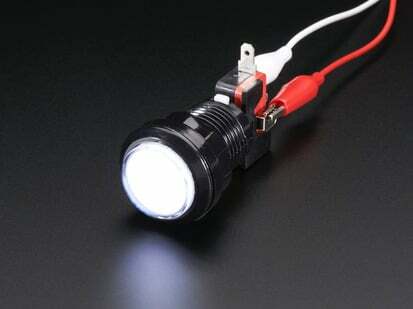 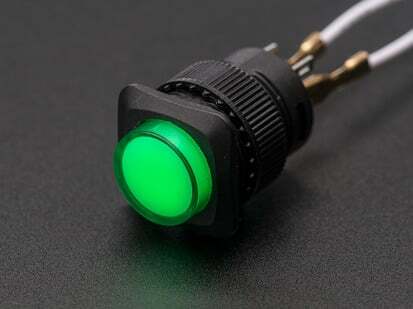 It has a built in LED that can be controlled separately from the switch action - either to indicate or just to look good. 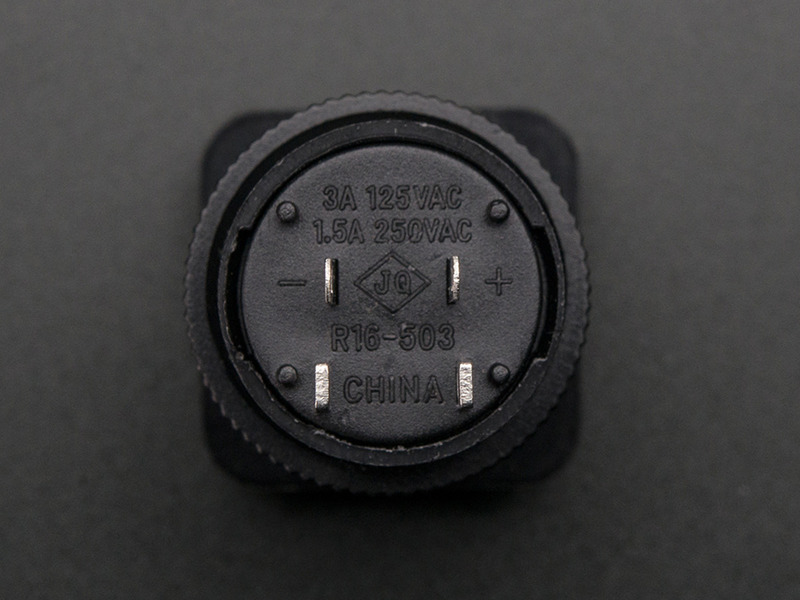 The body is a black plastic with the LED built inside. 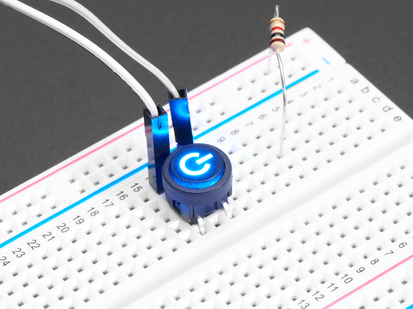 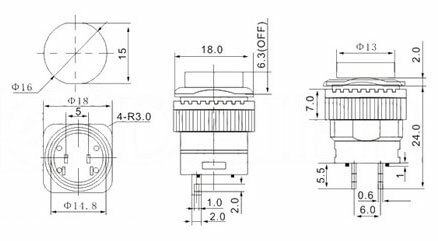 There are two contacts for the button and two contacts for the LED, one marked + and one -. 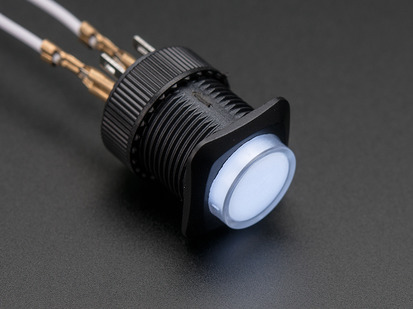 The forward voltage of the LED is about 3V so connect a 220 to 1000 ohm resistor in series just as you would with any other LED to your 3V or higher power supply. 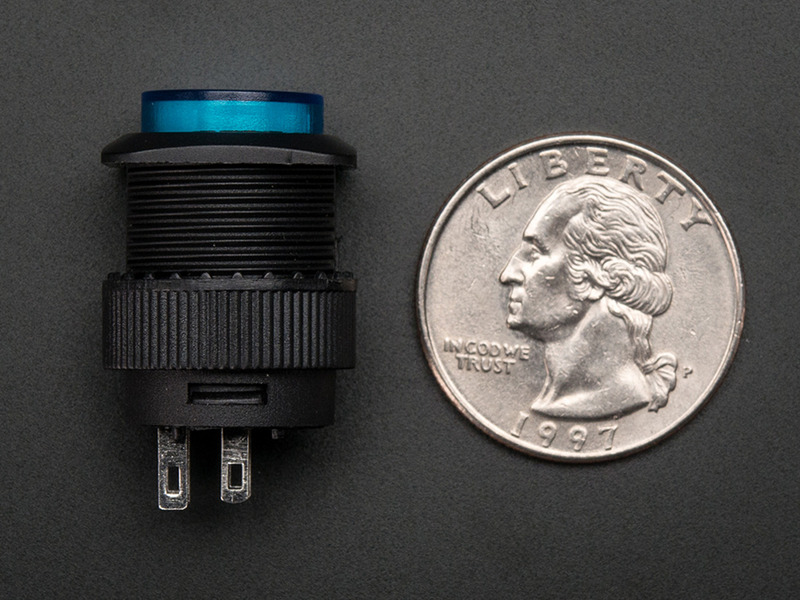 This particular button has a blue body and LED and is momentary, normally open. The two switch contacts are not connected normally. 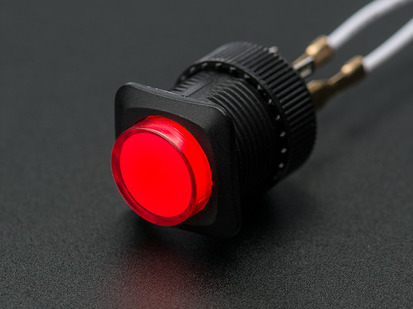 When you push the button they will temporarily connect until the button is released. 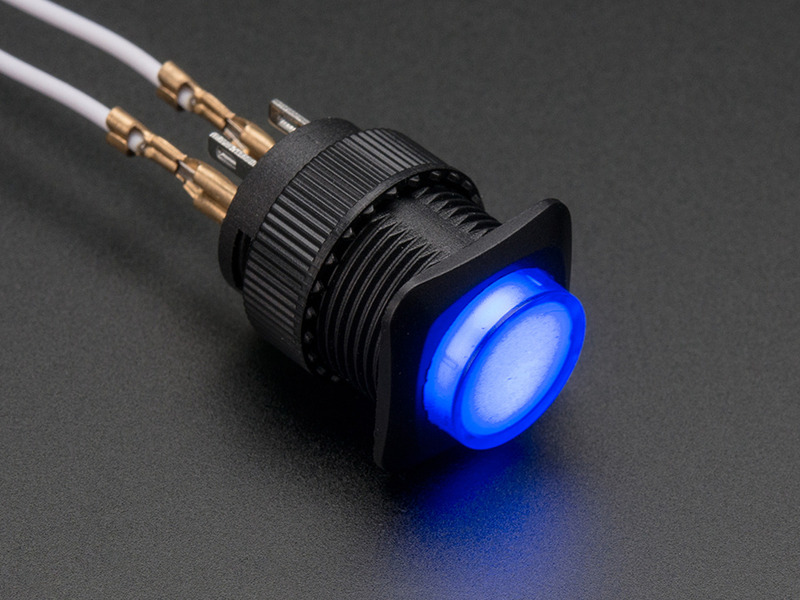 The LED is separated from the button, so you can make it light up when pressed, light up when not pressed, always lit, etc.